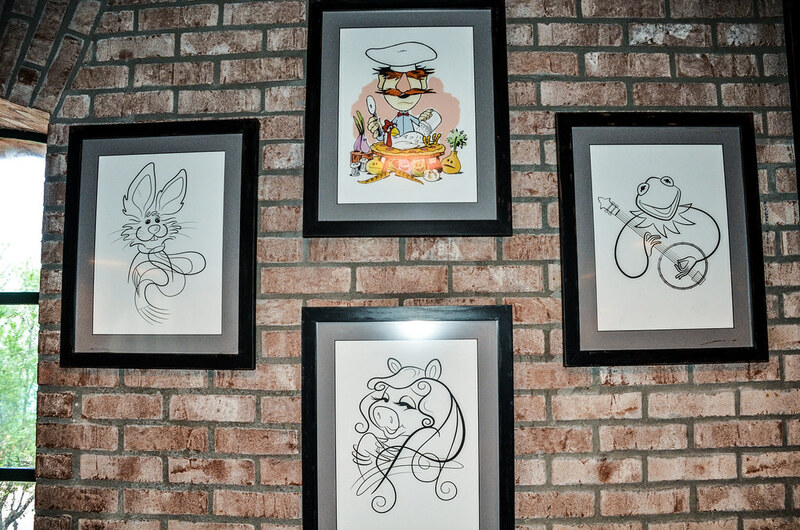 PizzeRizzo is a quick-service restaurant in Disney’s Hollywood Studios. 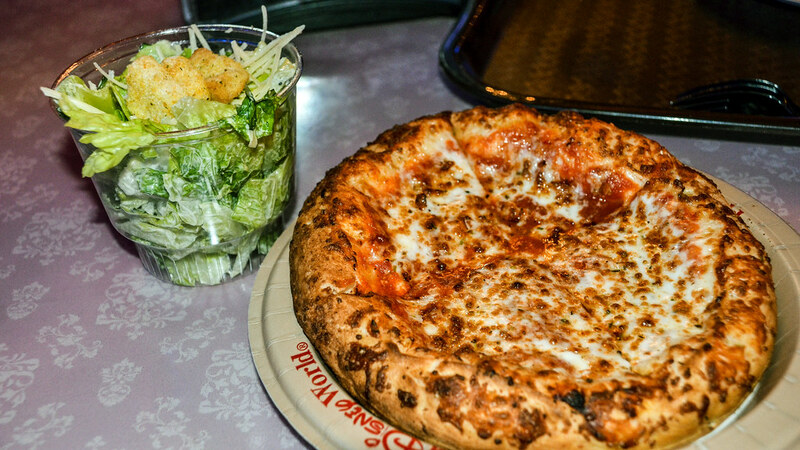 This recent addition is in Muppet Courtyard and serves personal pizzas, as well as a few other options. 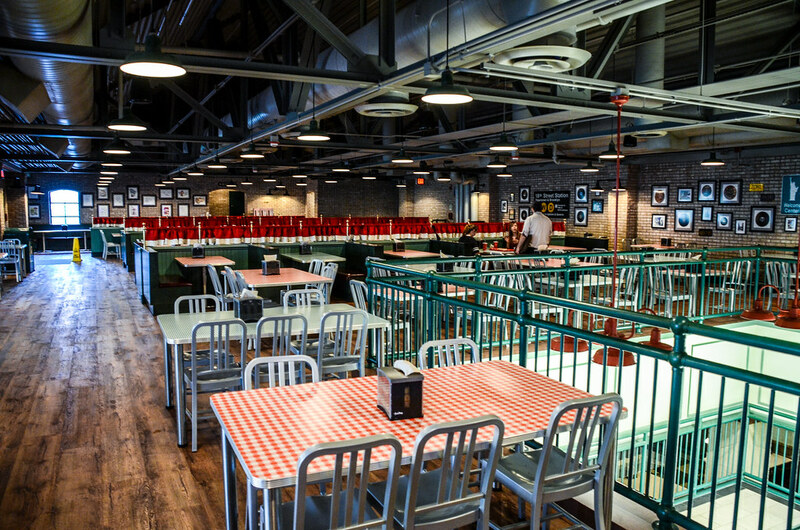 PizzeRizzo does take part in the Disney Dining Plan as a quick-service credit. The restaurant does not accept any other discounts currently. 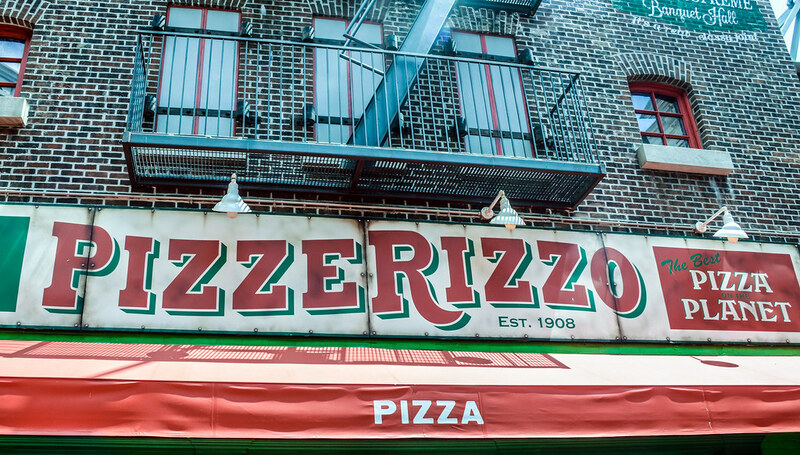 We recently dined at PizzeRizzo and this review will cover that experience. I love the Muppets more than most humans. Their sense of humor, personalities and media are right up my alley, making them one of my favorite entertainment groups around. 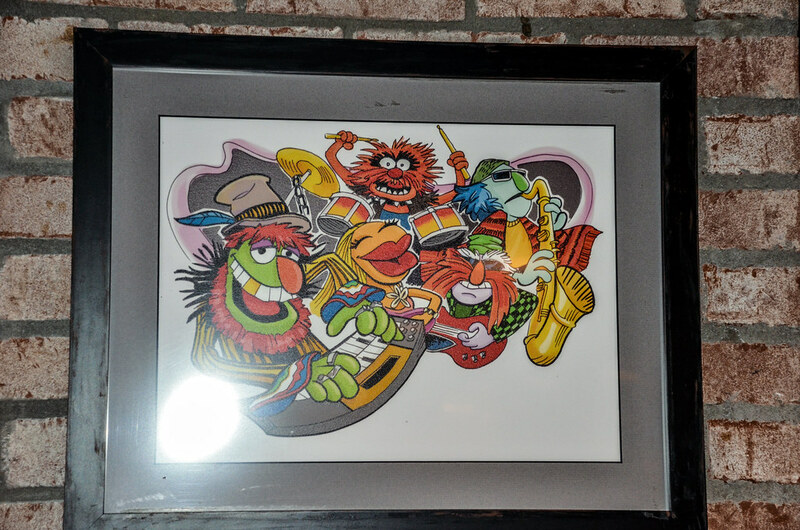 With that in mind, I was incredibly exciting for a Muppet-themed restaurant to open in Hollywood Studios last year. While quick-service pizza is far from Disney’s specialty, I was hopeful that the overall experience would be top-notch. Unfortunately, PizzeRizzo lands somewhere below top-notch. Before we get to the food, let’s take a look inside. 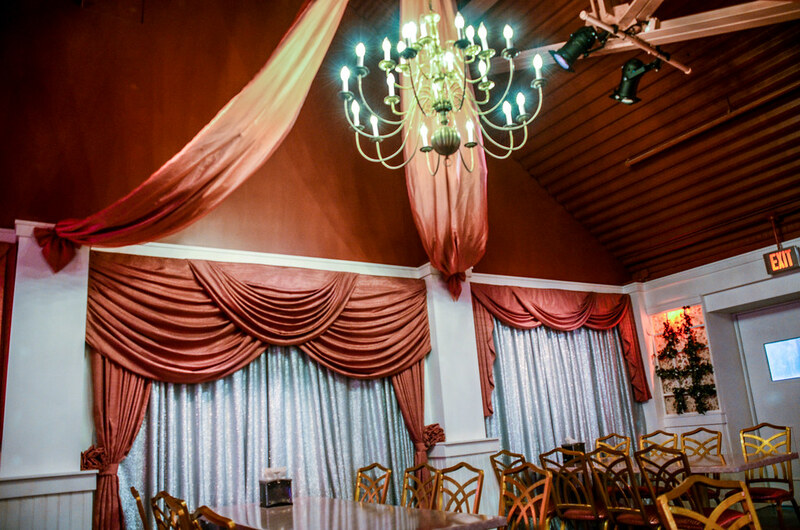 The restaurant has three dining rooms that I will appropriately call the downstairs, upstairs and wedding room. I’m nothing if not practical… There is also a great patio and deck area. The 110 degree temperature with 80% humidity made that seem like a pretty bad option for us. See? Practical. The downstairs is basically like a standard pizzeria and that extends to the upstairs. The color scheme is mostly red and green with wood floors. There is no real Muppet theme here, just a rebranded Pizza Planet. With that said, the area does look nice. If you are looking for a great place to relax in Hollywood Studios, the upstairs area is a great idea. Soft music is playing and the area is not crowded at all. I would especially think about sitting here if you have a big group and wanted a chance to enjoy some time with them all. The other room in the restaurant is the wedding room, this being an extension of the upstairs. I don’t really understand this room but it is a little more open with louder music and room to dance. Maybe this is a reference to something that I’m just not getting but I don’t know what the wedding room has to do with anything. This doesn’t make the room bad, just odd. If you’re looking for a place for your little ones to run around, this is the spot. As far as Muppet tie-ins, there are a few good puns throughout the building but you have to search for them. The most obvious tie-ins are the proposed used upstairs. 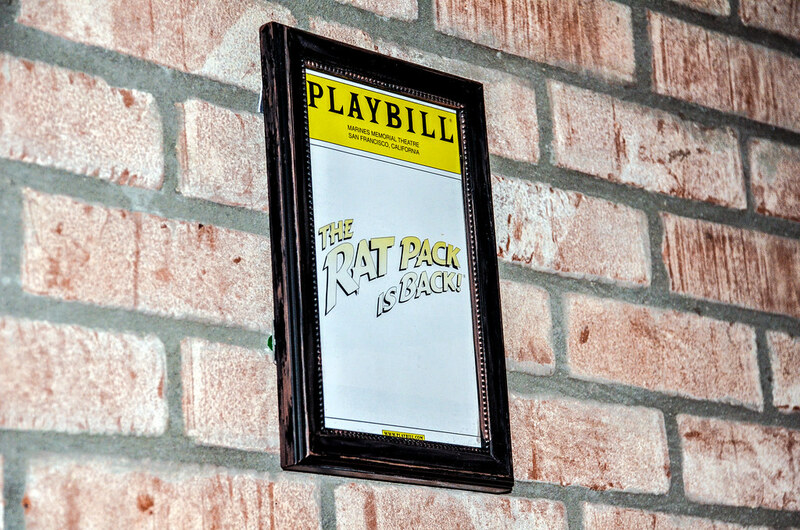 There are a couple of walls celebrating rats (remember this is Rizzo the Rat’s restaurant) in showbiz. 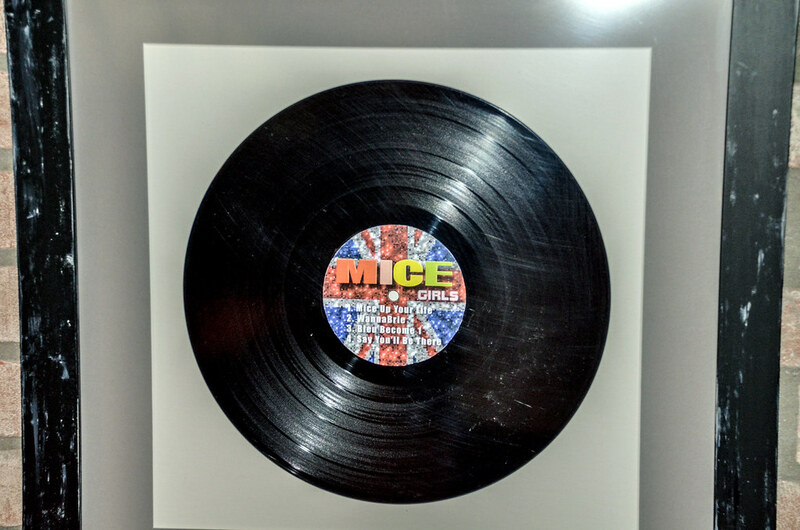 My favorite of which is this ‘Mice Girls’ record seen below. On the very back wall of the upstairs is what I deem ‘The Muppet Wall’. 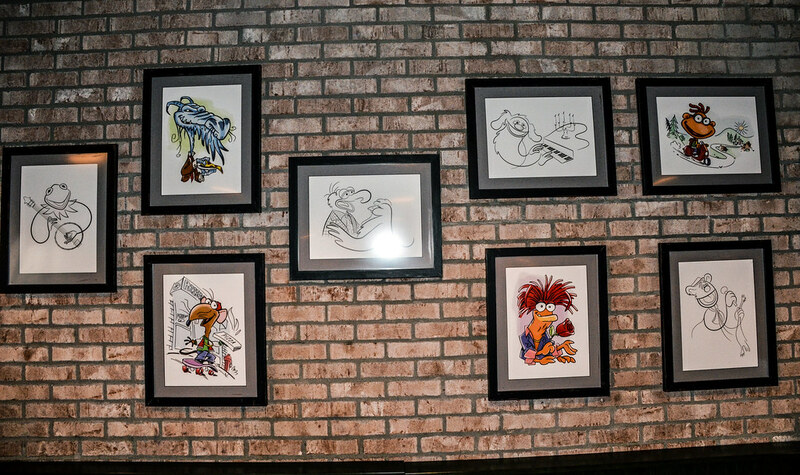 These are just drawings of The Muppets and they are all great. If anyone is looking for a birthday/Christmas present for me, just go ahead and steal this. That this is the biggest (only?) tie-in to the Muppets is definitely a disappointment but I do love the wall. There is a silliness to it while being sentimental at the same time. The lack of Muppets in the restaurant makes me wonder if they were worried about the longevity of Muppets Courtyard, or Grand Ave Courtyard or whatever it is now. I think MuppetVision 3D will be around for at least a while longer but this restaurant could be rethemed in a matter of weeks. I would guess they had directive to be fairly vague with the them or the budget wasn’t extremely high. Either way, they nailed the pizzeria feel but this could leave Muppet fans disappointed. On to the food! Here’s a link to the menu if you don’t feel like squinting at that photo. As you can see, 4 different types of pizza, a meatball sub, or an antipasto salad are the entrée options. All are around $10 a piece. The desserts are limited and there’s a few kid options. This did have a few extra drink options then your typical counter-service restaurant but we didn’t try those. Melissa and I both ordered pizzas, her the cheese and me the meat lovers. Both pizzas came with a cup of caesar salad. Putting aside the oddity of it being served in a cup, this was surprisingly tasty. They didn’t over power the salad with dressing and the lettuce was crisp and fresh. We could see someone making these and then stowing them in the fridge, so there’s a chance you could get unlucky with one that’s been sitting for a while. With that said, she was constantly making them and there weren’t many in the fridge so I’m guessing they stay relatively fresh. Everything about the pizzas were average. As you can see, my meat lovers didn’t have much meat on it. The meatballs were good and the pepperoni was pretty generic. Both the cheese and sauce were fine, neither bad nor good. The crust was nice and flaky, making it my favorite part of the pizza. The pizza was a pretty good size and would be filling enough for most people, I imagine. 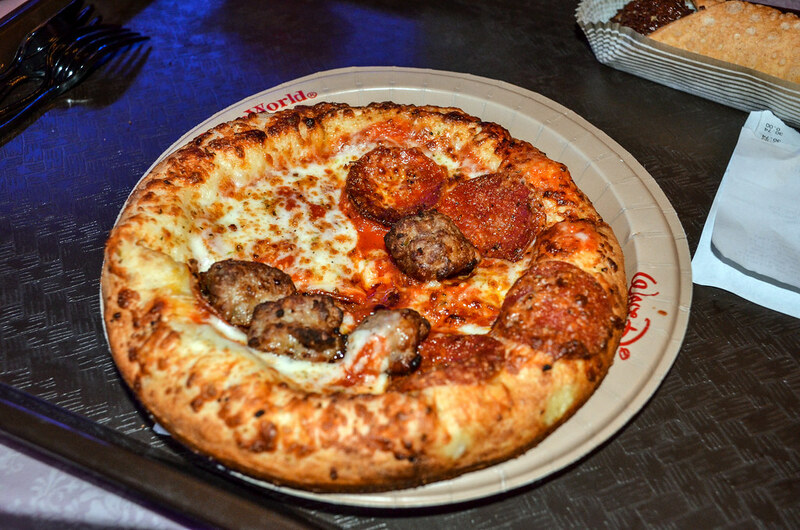 There is better pizza at Walt Disney World then this but I wouldn’t consider this bad. Just decidingly average. 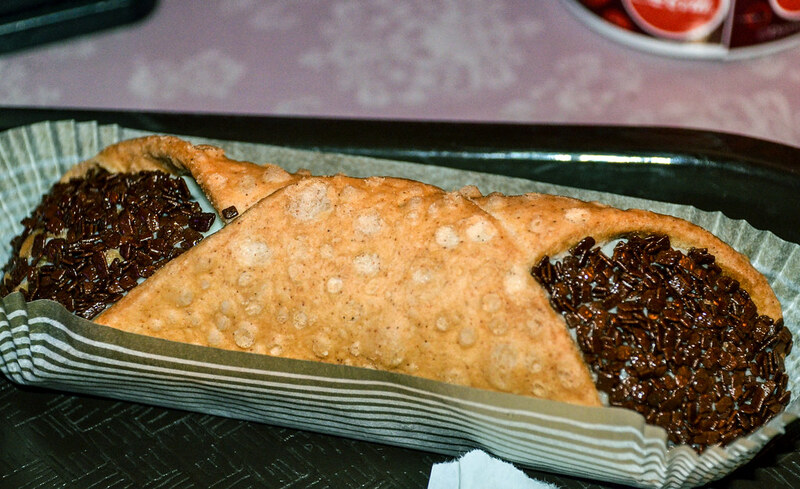 The best thing I ate at PizzeRizzo was this cannoli. I don’t know if this is just a standard Disney bakery item but I’d never had it before. The pastry was flaky yet firm. The filling was sweet but not overpoweringly. The chocolate was a nice touch and completed the dessert. I would come back for this as a sweet snack or quick dessert some other time. While not a 5-star dessert, I was really pleased with it. Overall, PizzeRizzo is a pleasant experience but doesn’t quite hit the mark. There are some decent Muppet tie-ins but there needed to be more. The restaurant looks nice and is a good place to relax but the value on the food isn’t quite there. With that being said, Hollywood Studios doesn’t have any other quick-service options I would recommend over this place especially considering costs. Either eat at a table-service restaurant, leave the park for better dining or eat here. While I enjoyed our experience, I don’t think I’ll be back except to say hi to my old friend Rizzo. 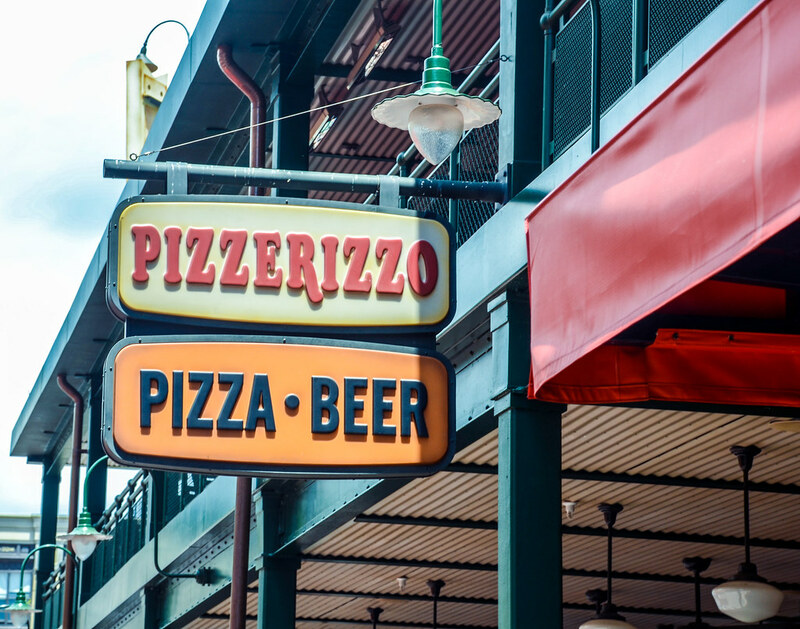 Have you eaten at PizzeRizzo? Please let us know your thoughts on the restaurant, along with any questions you have, in the comments. 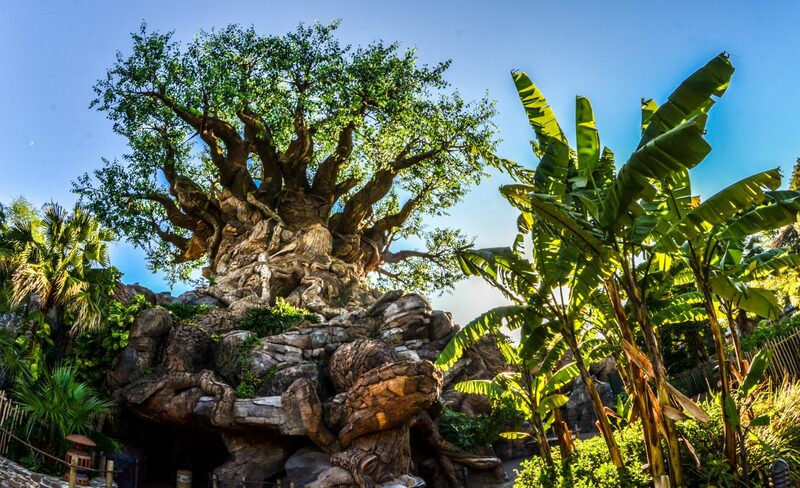 If you enjoy what you’re reading here on Wandering in Disney, please subscribe to the blog and like our social media pages. You can do both of those things on the right side of this page. Thank you for reading, we really appreciate it! We were trying to find a last minute restaurant for our time in Hollywood Studios (normally we’d go to Mama’s Ristorante), but ended up avoiding this restaurant because of the reviews. Sadly it seemed more like a Papa Gino plopped into Disney than a full-themed restaurant.